The northwestern town of Shangri-La, or Zhongdian as it was formerly known, is one of China’s most interesting destinations. 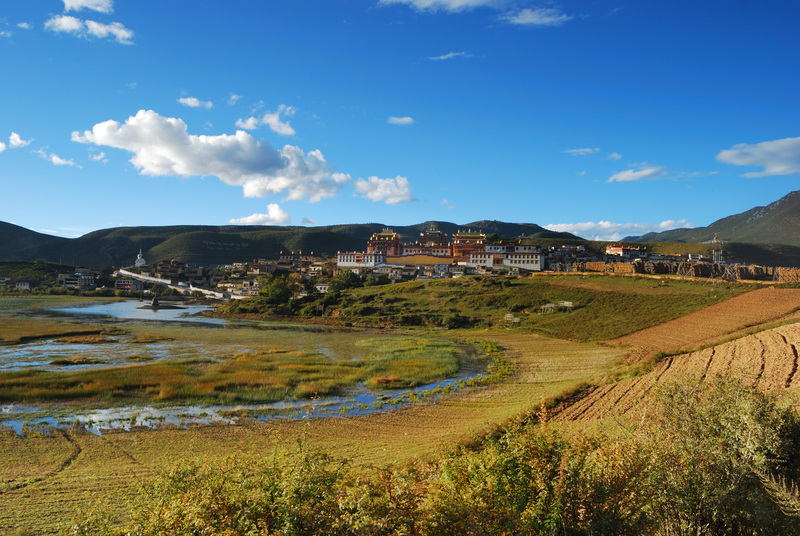 Located on the Autonomous Tibetan Prefecture, it boasts an eclectic mix of tribal cultures and is one of the few places where Tibetans, Han, Naxi, Bai, and Lisu tribal people live in blissful harmony. The old town center, an incredibly picturesque maze of cobblestone streets framed by wooden shop-houses, is a wonderful place in which to spend a few days. 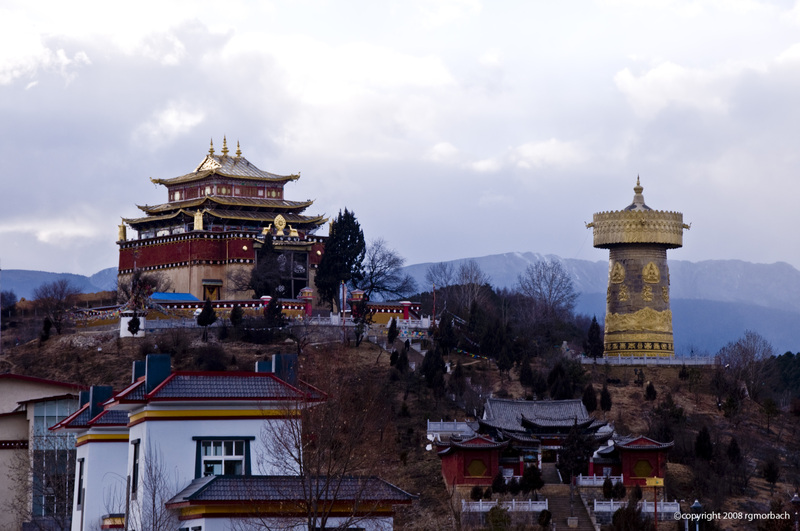 A striking hilltop Golden Temple, is the town’s most recognizable landmark. 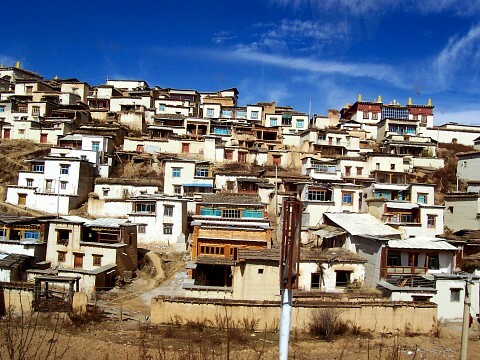 The town was named ‘Zhongdian’ for centuries and the far-too-obvious name change, granted by the government in 2001, was meant to encourage mass tourism. The newly re-branded Shangri-La was headed towards becoming another Shuhe (Old Town of Lijiang ), a stunning but tad-too-busy tourist hub. 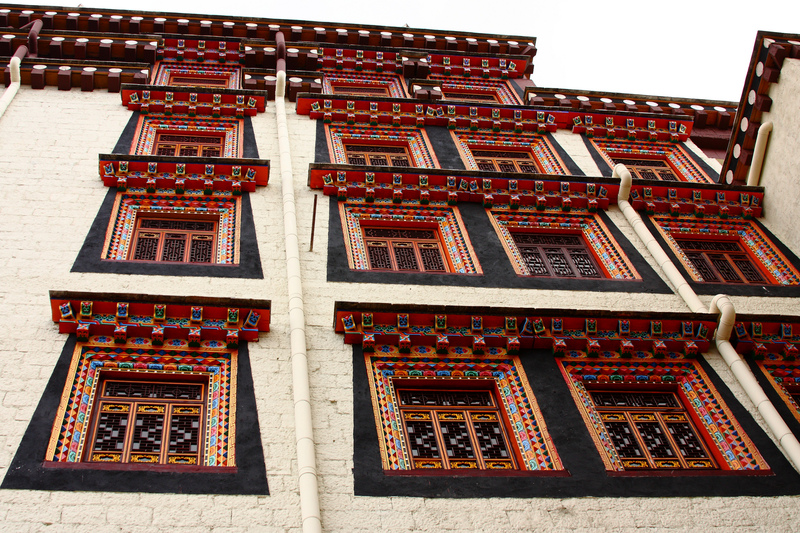 A devastating fire in 2014 burnt down over half of the Shangri-La’s old town, yet the serendipitous consequences have been astonishing. Due to the restoration works being slow and tedious, and the fact that much was made of the fire’s devastation, mass tourism, and 21st-century China, has been greatly held at bay. This spells great news for anyone who visits. Not only is there still much of the town left standing, but crowds are minimal and the center retains a particular authenticity which is nowadays greatly missing in more frequented hubs. Shangri-La’s prime location in the heart of the high-altitude Tibetan Plateau also acts as a magnet for anyone wishing to explore the minority tribes of this rather remote and entrancing Chinese region. When British writer, James Hilton depicted a heaven on Earth in his 1939 novel, Lost Horizon , he brought to life a place of unimaginable beauty and serenity, set high on the Tibetan Plateau. The name ‘Shangri-La’, a fictitious invention, was inducted into our language and nowadays conjures up images of an impossible to believe haven. While the story was indeed a work of fiction, the place which inspired it is not, or at least that’s what the Chinese believe. Although there are quite a few places which claim to have inspired Hilton’s novel, in countries like India and Nepal, China was the first to capitalize on its alleged link to this earthly utopia. Zhongdian's oldest inhabitants are believed to have settled here during Neolithic times, as much of the archaeological finds in the area attest. Due to its remoteness, and long-standing inaccessibility of China as a major holiday destination, it had remained undisturbed for centuries. Although China has only opened up to foreign tourism relatively recently, it should be noted that domestic tourism is, and always has been, phenomenal. The Chinese are said to be some of the most prolific travelers, at least within their own borders, and whenever you hear of any place being overrun with tourists, it is mostly Chinese visitors which are referred to. Modern infrastructure and an extensive new part of Shangri-La makes visiting here both easy and pleasurable. Not only is the town easy to access, but the eclectic mix of old and new makes for a fantastic experience. Within a five-minute walk from the historic center, you’ll find busy street, sparkling high-rise shopping malls, and a plethora of interesting things to see and do. 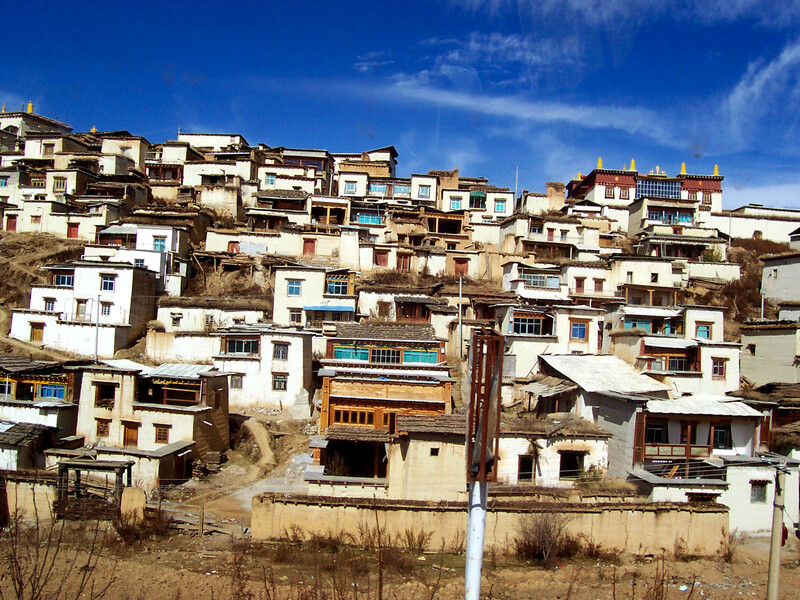 Whilst the city is, geographically speaking, very much still in the Tibetan region, it is not within the political boundaries of Tibet, so no special permits are needed to explore the area at length. 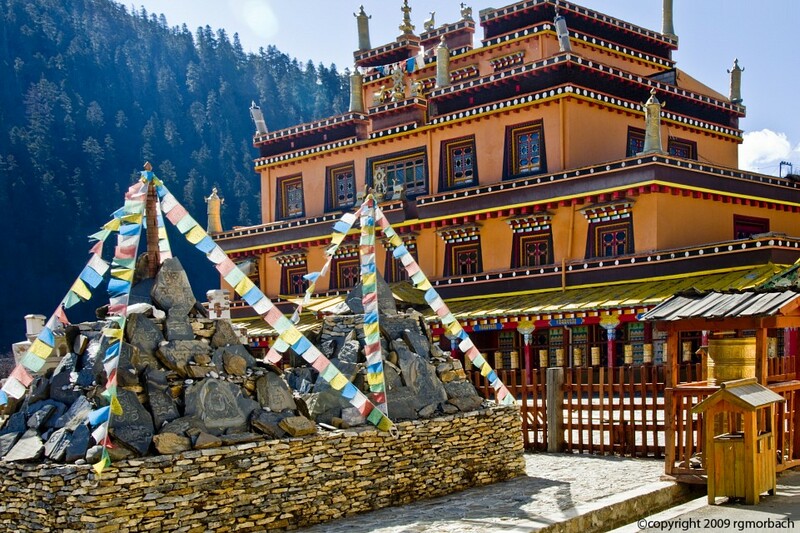 Please note that Shangri-La sits at an altitude of 3,200m so strenuous activities are not recommended. From cultural to religious and natural attractions, Shangri-La and its surrounding countryside have much to offer the adventurous traveler. One could spend days on end simply meandering one’s way through the historic quarter, which is currently divided in two sections, separated by what looks like a bomb explosion site. Works are slow but efficient nevertheless, so expect much of the center to change dramatically over the coming years. The mix of Tibetan and Han architecture is fluid and complementing, and the innumerable shop-houses offering everything from teas and herbs, to clothing and gorgeously crafted souvenirs, are a delight to peruse. 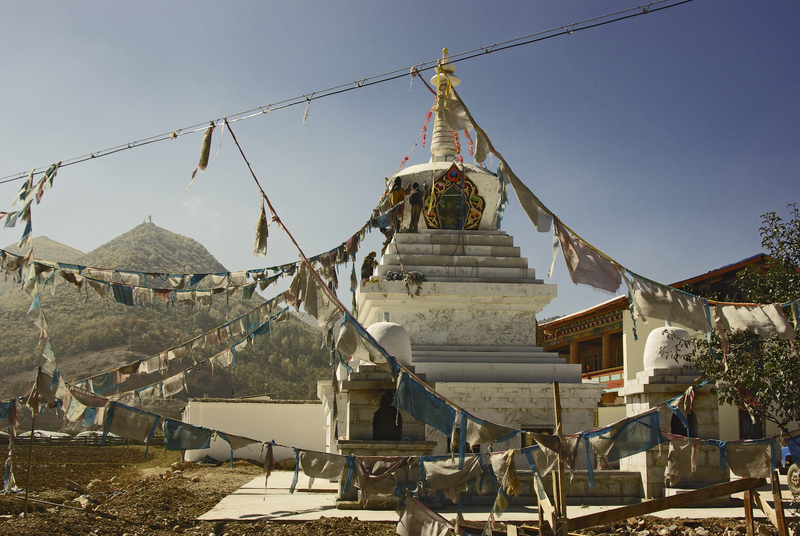 Visit the hilltop temple, home to one of the largest prayer wheels in the world. At 69 feet in height and weighing 60 tonnes, the prayer wheel can only be spun by the collective force of at least 6-8 people. Taking on the challenge and succeeding is always cause for celebrations. The attached Guīshān Sì temple is masterfully built and decorated and ascending the steps to the top, at sunset, about the best thing to do in town. The views from up here are breathtaking and seeing the gaping holes in the old center can easily bring one close to tears. The working monastery holds morning prayer sessions, so head here at sunrise if you wish to attend. In the plaza directly in front of the steps which lead to the Golden Temple, locals congregate every day at 5 p0 feet to partake in a session of a most inherent Chinese tradition: group dancing. This is arguably the best people-watching spot in town and a fun thing in which to actively participate. You’ll see some locals dressed in ethnic costume, yet many more who come here after school or work. People of all ages participate, and all are more than enthusiastic to guide foreign visitors should they wish to have a go. This is an intrinsic part of Chinese culture and something which you’ll no doubt see in most towns, villages and even larger cities. About a five-minute taxi ride north of the old center is where you’ll find the Ganden Sumtseling Monastery, a magnificent 300-year-old Buddhist monastery, home to over 500 monks. 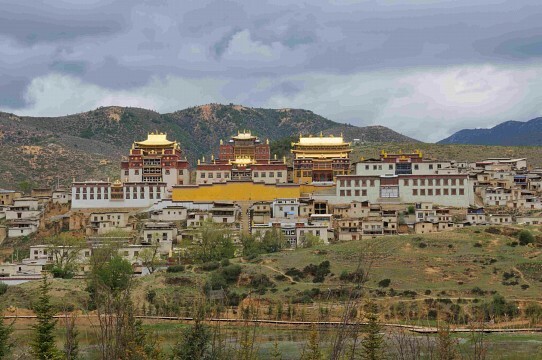 This is the largest monastery in Yunnan Province and a complex comprising six main buildings and eight teaching halls, all designed with the famed and iconic tiered red and gold roofing of Tibet. Access to the monastery is via a 150-step staircase found at the base of the hill. The main prayer hall, the most impressive sight of all, is brimming with scriptures, gilded statues and colorful frescoes. During busy prayer time, the hall will accommodate over 1,500 monks. You’ll find a plethora of tour agencies selling a myriad of single and multi-day excursion to the lake and meadow brimming mountains surrounding Shangri-la. Horse treks, home stays and day trips to nearby pottery villages, along with hikes in and around the elevated national parks of the region, are among the most popular activities. 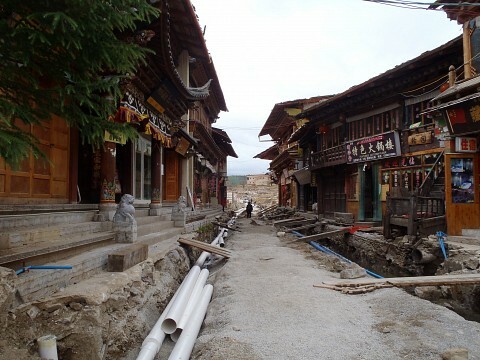 Due to its high elevation, Shangri-La can be a brutal place to visit in winter, when despite the modern infrastructure the town can easily become cut off from the rest of the Yunnan Province. Springtime (March, April, May) is the ideal time to visit, as is autumn, when although you’ll suffer a few rainy days, the kaleidoscope of colors in the national parks are simply stupendous. In June, Shangri-la plays host to a popular horse-racing festival, which lasts several days and includes music, dancing, horse racing and an infinite amount of food. There is a smattering of charming guesthouses within the borders of the Old City Center, and quite a few flashy hotels along the main road in new town, which is only a 10-minute walk away. 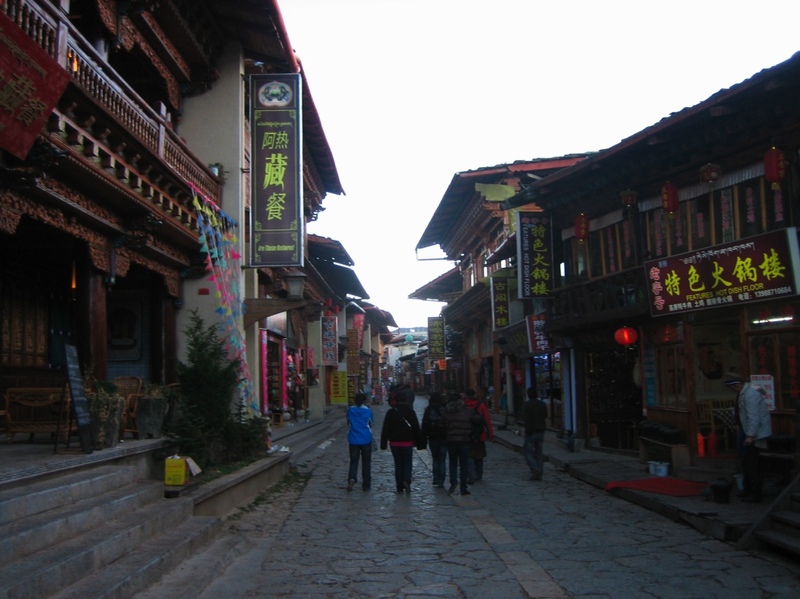 Shangri-La is just five hour’s drive north of Lijiang and many bus companies ply the route daily.